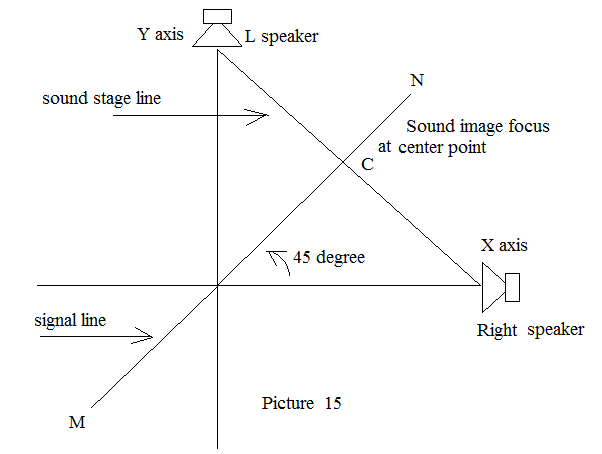 Stereo is a voice reproduction technique to display a sound stage in which many sound images can be identified at different positions as similar to actual life experiences. This wants two speakers work together, one speaker system known as mono can only give music but not sound stages. The foundation of any sound or voice is the sine waves, some what likes the prime numbers of mathematics, sine waves could not be disassembled or divided into two or more components. 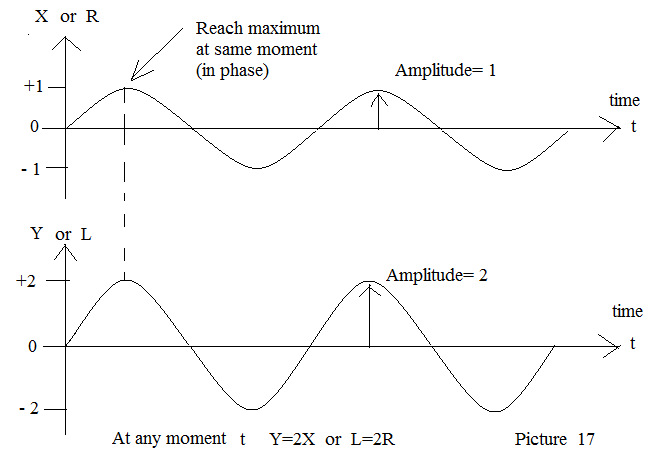 Carefully calculated combinations of sine waves can form any sound or voice, say in other words, any sound wave form can be divided into a series of sine waves. 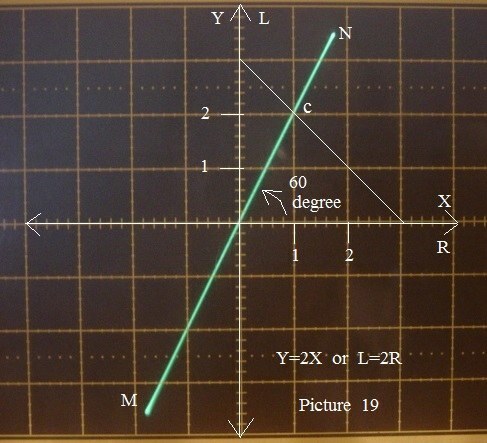 (Fourier series). 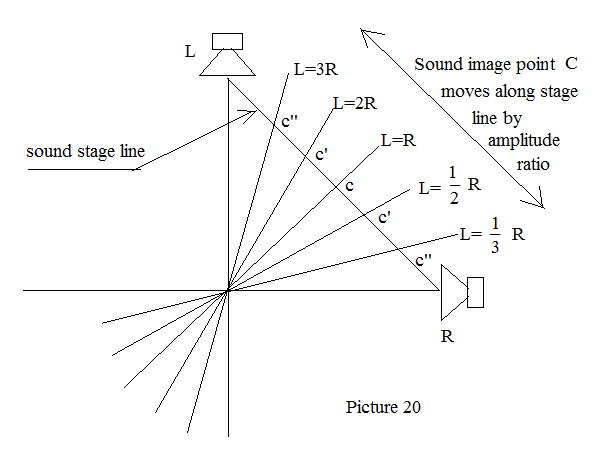 I will try to explain the sine wave in a simplest way as this is a very important basic knowledge for achieving sharp sound images in Hi Fi stereo systems. 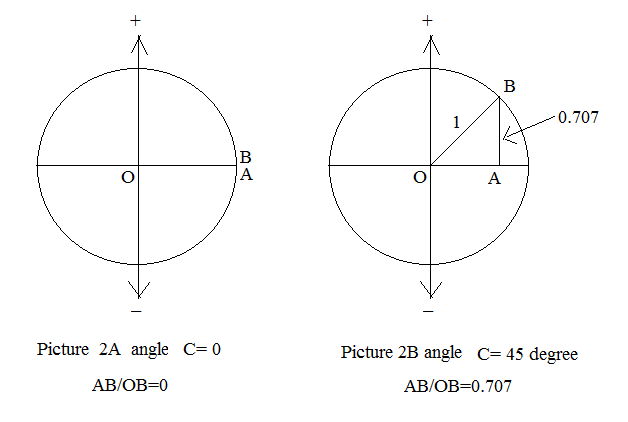 We then put this triangle in to a circle , the point O is the center and the line OB is the radius. 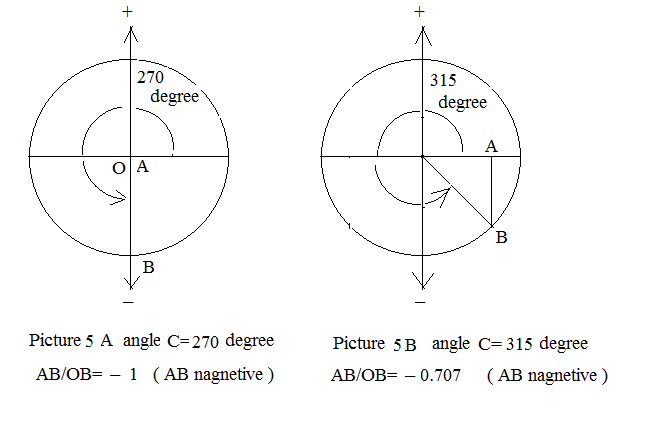 Let us examine the sine wave as angle C varies from 0 degree, to 45 degree, 90 degree, 135 degree, 180 degree, 225 degree, 270 degree, 315 degree and 360 degrees( one cycle completed). 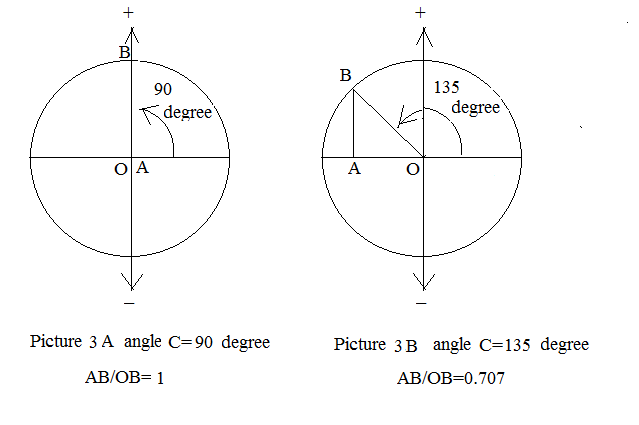 As the line AB is always vertical, in upper half of the circle line AB is positive (pointing up) while in lower half circle line AB is negative (pointing down), and don’t ask me why, the line OB is ALWAYS positive no matter upper or lower half. 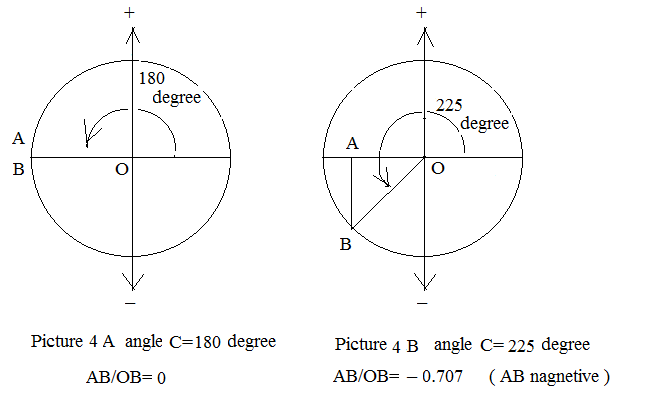 Hz is a frequency unit equal to how many circles completed within one second as the point B did. 60Hz means 60 cycles being completed in one second, some electronic hobbist would like to use cycles per second ( C/S ) , they even omit the letter S, for example 455 KC means 455 KC/S and this is equal to 455000 Hz. 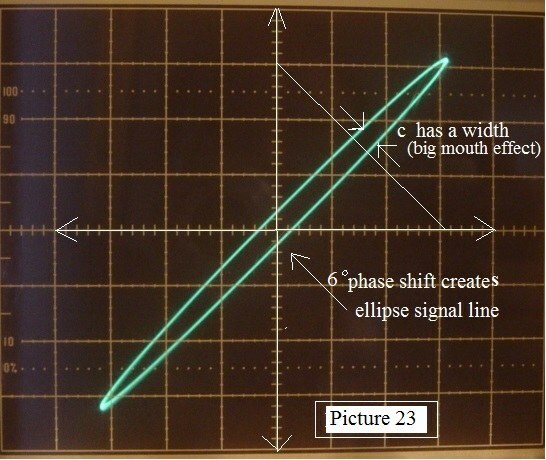 (yes, point B passed around the circle 455000 times within one second) However Hz is a formal engineering terms. 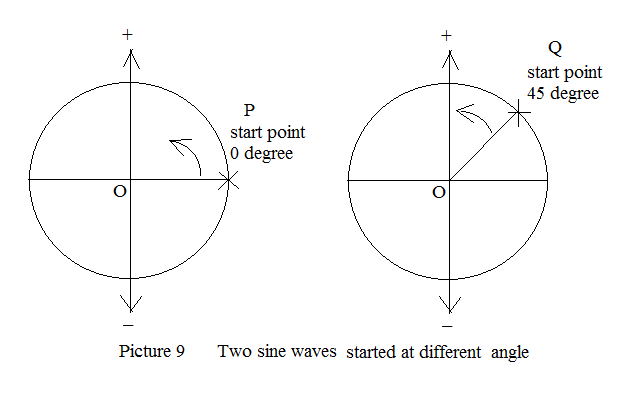 Now we can discuss the three important factors of sine wave. 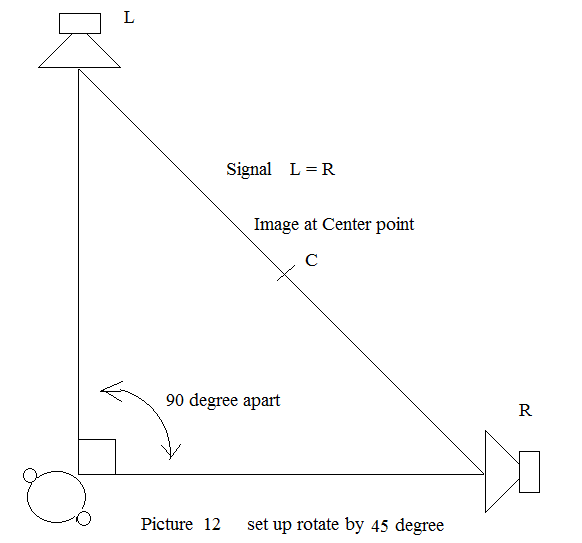 The listener also turn by 45 degree to fit in again, nothing will change , sound image still at center point. 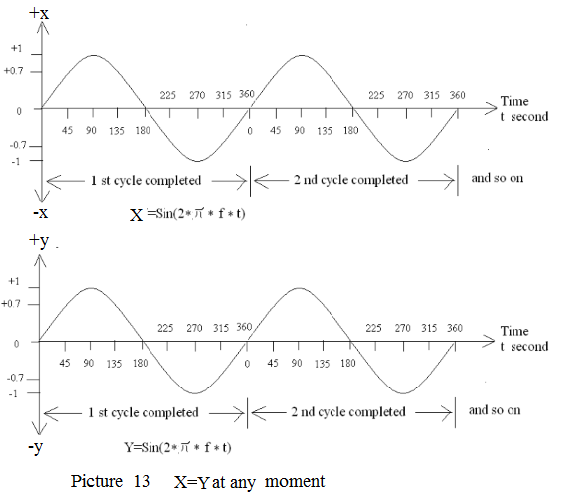 Now, think about two equivalent sine wave signals feed into X and Y axis of a X Y coordination. 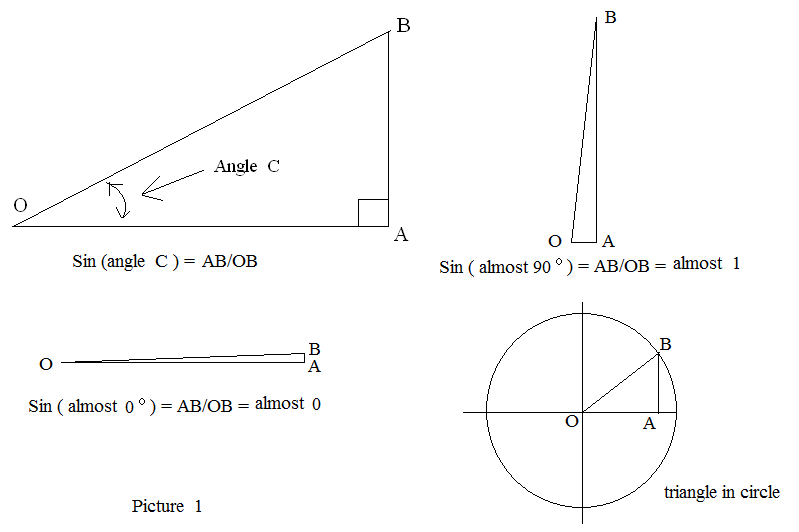 At time t for 360 degree X=0 ; Y=0 . One cycle completed and go on. When we listen to a CD, the sound images are pre-designed by amplitude ratio rather than true musical instrument physical positions. 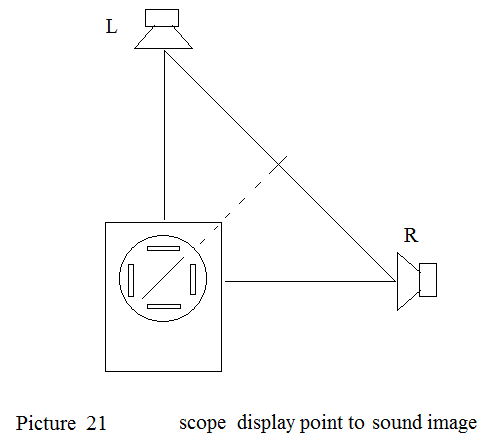 The straight line on the oscilloscope display will point to the sound image direction if we put the scope on floor and top side faced to L speaker, this is helpful to monitor the pre-designed image position in sound reproduction process. 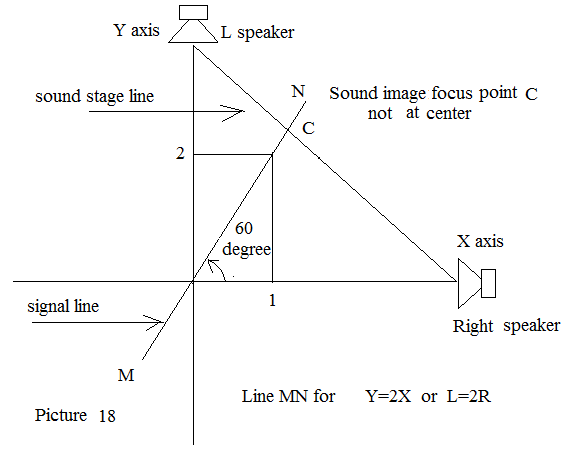 Remember that, amplitude ratio changes with no phase difference will create a straight line MN, so that the inter section with stage line is a point , the sound image will be a sharp point as well. 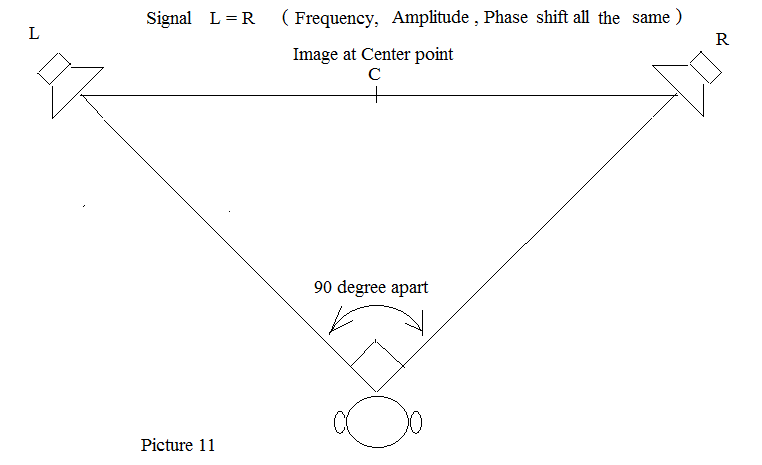 Amplitude ratio stereo system is widely used in popular musics. 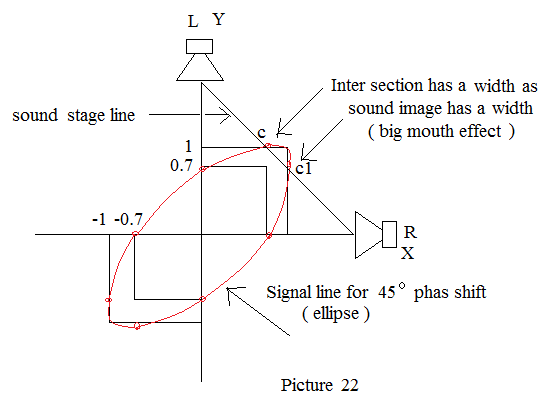 In general speaking, 1 to 2 degree phase shift does not affect the sound image much, but 5 degree or more will deteriorate the sound quality. 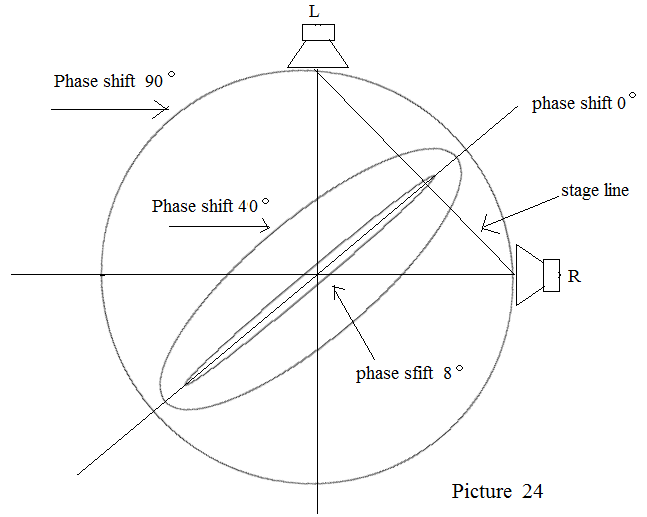 In most tube amplifiers, RC coupling do create phase shift especially near the turning frequency, think about the line signal goes through about 6 RC coupling while the phono input goes through about 9 RC coupling before reaches the speakers, 24db active electronic cross over caused 8 RC coupling more. 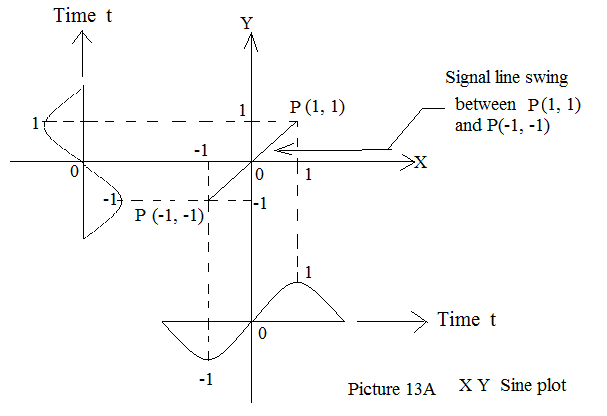 So many RC and transformer coupling as phase shift could not be avoided, but if L and R channel to be arranged to have same phase shift known as synchronization, the relative phase between L and R will be no phase difference , the straight signal line MN maintained as well as the sound image. 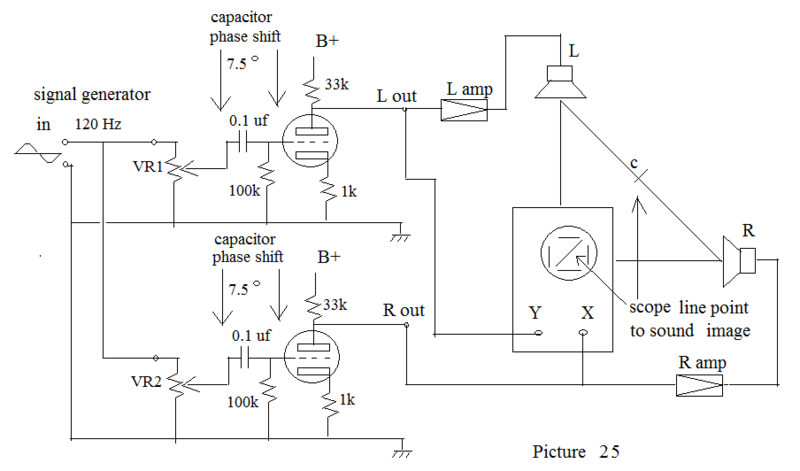 See the stereo tube voltage amp set up , a coupling capacitor 0.1 uf with a grid resistor 100K will create about 7.5 degree phase shift at 120Hz. 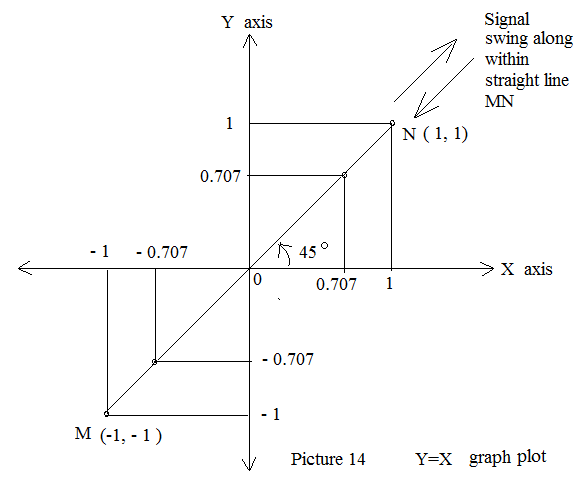 If both channel create 7.5 degree exactly is known as synchronization and there will be no problem in sound image. 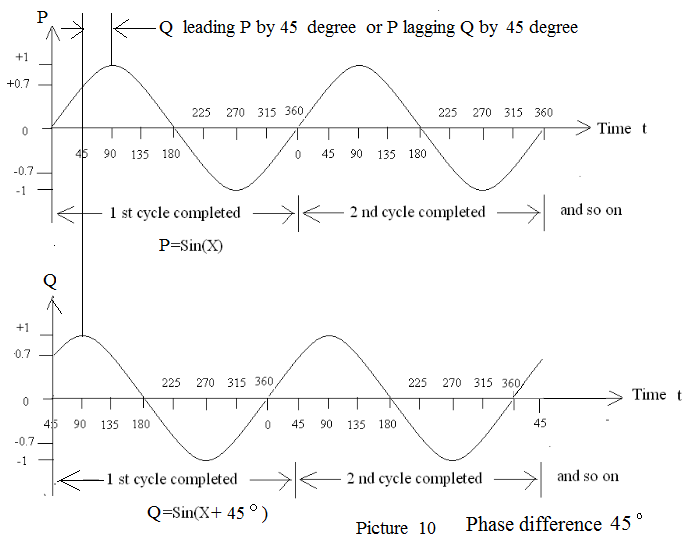 In this case VR1 and VR2 adjustment will move the point C along the stage line but the +/- 10 % of 0.1 uf cap and 100K resistor will create phase difference. 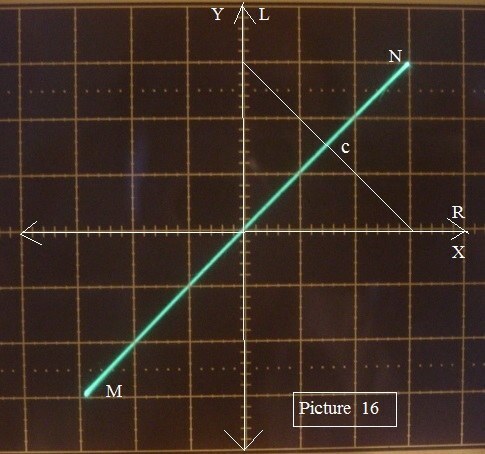 I try to add a 0.02 uf to one channel to simulate +/- 10% capacitance error the scope shows an ellipse about 1.5 degree, think about accumulation of 6 to 7 RC couplings the situation could be serious. Match pairs 0.1 uf and 100K for both channels will ensure synchronization, I strongly recommend 1% match RC pairs in tube amp coupling circuit.